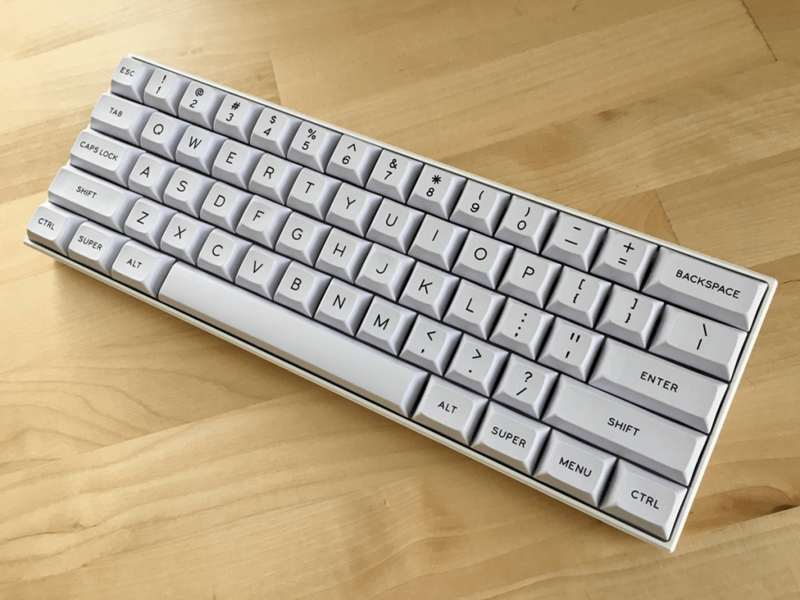 The Anne Pro is one of the best known budget mechanical keyboards — but why is it so popular? Let’s take a closer look at what makes this keyboard such a standout, particularly at its modest price! The first reason has got to be that the Anne Pro sports an RGB backlit, which is programmable via a Windows, iOS or Android app. That makes changing between different lighting schemes very convenient, as you can see in the video shot by Anne Pro owner Ryvaeus on Reddit — pretty sweet, right?! Combine this with the fact you can choose between a black and a white/yellow version of the Anne Pro, and you can see why this keyboard has attracted a lot of attention. The Anne Pro also has a compact 60% size layout, making it a super portable option. It is wireless, connecting to computers, tablets and phones using Bluetooth, so you can use it on the go with whatever device you have on hand. Despite the small size, multiple layers allow you quick access to arrow keys, Mac layouts or any other layout you prefer. It also has a standard layout, so you can easily fit custom keycaps, like the DSA keycaps chosen by Reddit user keeganzero. 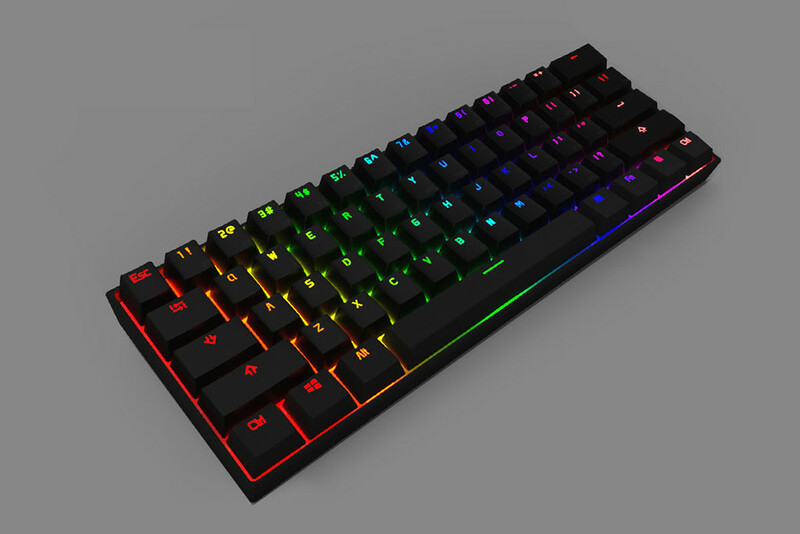 Where to buy the Anne Pro? The Anne Pro is also quite inexpensive, costing just £50 or $66 on GearBest with free shipping. That’s pretty impressive given the level of quality that you’re getting. You can also use the coupon code AnneProBL to reduce the cost to even further, but this code will expire soon so don’t delay! The Anne Pro is available in black or white, with Blue, Brown and Red switches. I’d recommend Blue switches for RTS players or typists working at home, Red switches for MOBA or FPS players, and Brown switches for anyone else. If you haven’t tried a mechanical keyboard before, then Brown is always a safe bet. Once you have the Anne Pro in your hands, I’d recommend checking out the Anne Pro Wiki here. This short but sweet wiki includes instructions on updating the firmware, switching layouts, downloads and other critical information. There’s also a beginner’s guide here which is another must-read. I hope this post was helpful! We’ll be getting the Anne Pro in ourselves very soon to give a full review, so look out for that as well!